First time home buyer loans are issued to those who have not owned a home within the previous three years. Many first time buyer programs are offered by local, county or state governments. There are also grants and forgivable loans for first time buyers to help with the down payment and closing costs. The most popular first time buyer program is the FHA loan which asks for a down payment of just 3.5% with easier credit requirements. First time buyer programs are designed to spur home ownership. There are also first time buyer conventional loans with a down payment of just 3.0%. Minimum credit scores range from 580 to 620. Qualifying guidelines for first time buyer loans can vary based upon the type of loan being issued and where the property is located. First time home buyer loans are reserved for owner-occupied properties only and cannot be used to finance a rental or investment property. Qualifying guidelines for first time home buyers are often relaxed compared to other low-down payment financing options. 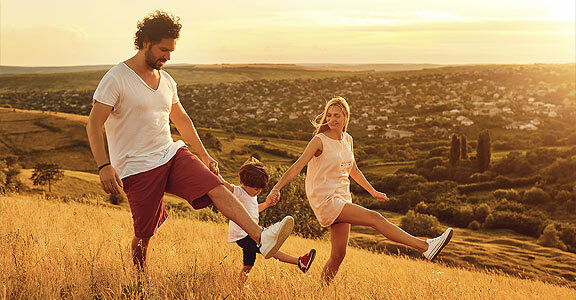 First time buyers can use most any financing option when buying and financing a primary residence including conventional as well as government-backed loans. A conventional loan is one where the lender assumes all the risk of approving the loan. This is compared to government-backed home loans that carry some degree of compensation to the lender should the loan go into default. Most conventional loans issued today are those approved using standards set by Fannie Mae or Freddie Mac which comprise nearly two-thirds of all loans issued today. These loans are can also be referred to as conforming loans because they conform to Fannie or Freddie standards. The maximum conforming loan limit in most parts of the country for 2019 is $484,450. Amounts greater than the conforming loan limit are considered jumbo loans. Conventional mortgages can ask for a down payment of just 5.0% of the value of the property although there are first time buyer programs that can ask for a down payment of just 3.0%. For any down payment less than 20% of the value of the home, private mortgage insurance, or PMI, will be required. These loans can be used to finance a primary residence, second home or rental property. Government-backed loans can only be used to finance a primary residence. Minimum credit score for most conventional loans is 620. FHA loans are those that are insured by the Federal Housing Administration. First introduced in 1934, the FHA mortgage only asks for a down payment of just 3.5% of the value of the home. There are no special requirements for an FHA loan such as borrower status or the area where the property may be located. The FHA mortgage is the most popular choice for first time home buyers due to the lower down payment required and relaxed credit guidelines, although the FHA loan is not reserved for first time buyers. FHA loans ask for a minimum credit score of 580 with a down payment of 3.5% but can be as low as 500 with a down payment of at least 10%. Individual lenders can assign their own credit score minimums. Debt-to-income ratios for FHA loans are 31 and 43. The total housing payment including principal and interest, taxes, insurance and mortgage insurance should not exceed 31% of the borrower’s gross monthly income and not exceed 41% of total monthly credit obligations. These ratios are only guidelines and may be exceeded at the lender’s discretion based upon other compensating factors in the file. The FHA loan carries a guarantee to the lender. Should the loan go into foreclosure the lender is compensated for the loss. This compensation is financed with two separate mortgage insurance premiums, an upfront premium that is rolled into the loan amount and an annual premium paid in monthly installments. 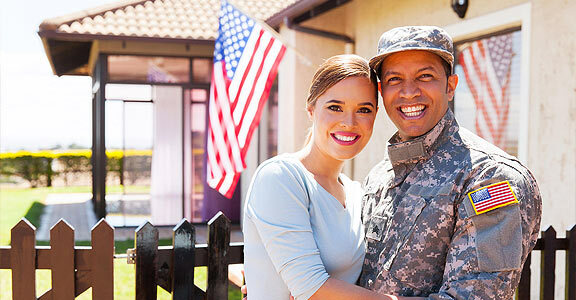 VA loans are those that follow guidelines set forth by the Department of Veteran’s Affairs. First introduced in 1944, the VA loan is used to buy and finance an owner-occupied property without the need for a down payment. Qualified borrowers are also restricted from paying certain types of closing costs. The VA loan requires a minimum credit score of 580 but can be as low as 500 if accompanied by down payment of at least 10% yet most lenders ask the minimum score to be between 580 to 600. The VA does not approve the loan but VA approved lenders do. In most areas, the maximum loan limit mimics the conforming loan limit of $484,350. The VA loan carries a guarantee to the lender in the event of a foreclosure. The guarantee is 25% of the loss and financed by what is referred to as the Funding Fee. The funding fee is not an out of pocket expense but is rolled into the loan amount. Those with service-related disabilities are exempt from this fee. VA loans ask that total qualifying debt, including the mortgage, not exceed 43% of gross monthly income, but the individual lender can still approve a loan with higher debt with the instance of other positive factors in the loan file. Eligible borrowers include veterans of the armed forces, active duty personnel with at least 181 days of service, National Guard and Armed Forces Reserve members with at least six years of service and unremarried surviving spouses of those who have died while serving or as a result of a service-related injury. A USDA loan is one that is insured by the United States Department of Agriculture. The USDA loan program is designed to help finance a property located in a rural or semi-rural areas. These areas are designated by the United States Census Bureau. The USDA loan does not require any down payment at all and carries a guarantee to the lender. In the instance of a default, the lender is compensated for the loss. This compensation is financed by two forms of mortgage insurance, an upfront Guarantee Fee and an annual mortgage insurance premium paid in monthly installments. There are limits on monthly household income which works out to approximately 115% of the median income for the area. Qualifying income includes all household income for those 18 years and older, regardless if the individual is on the loan application. Interest rates for USDA loans are very competitive and available as a 30 year fixed rate loan. Minimum credit score requirements for a USDA loan is set at 640 yet lower scores may be accepted given additional compensating factors included in the loan file. USDA loans can only be used to finance an owner-occupied property. Recommended debt ratios for USDA are 29 and 41. The total mortgage payment should not exceed 29% of qualifying income and no more than 41% for total monthly credit obligations. 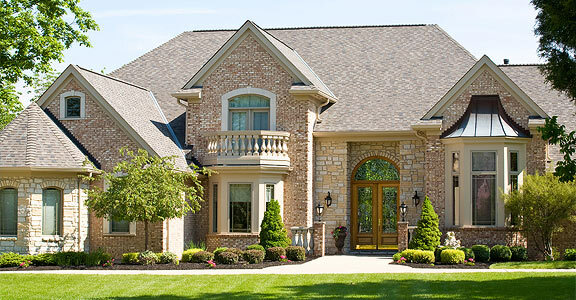 A jumbo loan is a conventional mortgage where the loan amount exceeds conforming loan limits. Conforming loans are those that conform to standards set by Fannie Mae or Freddie Mac. In most parts of the country, the conforming loan limit for 2019 is $484,350 and as high as $726,525 in areas deemed “high cost.” There are no universal lending guidelines for jumbo loans as each lender sets its own rules for approval. Credit standards for jumbo loans are more stringent compared to conforming loans with minimum credit scores for most jumbo programs start at 740 but may be higher or lower depending upon the lender approving the loan program. Minimum down payments for jumbo loans are 20% and 25%. Borrowers can get a slightly better rate with a 25% or greater down payment. Most jumbo loan amounts are limited to 80% of the value of the property as there is no private mortgage insurance policy available for jumbo loans. 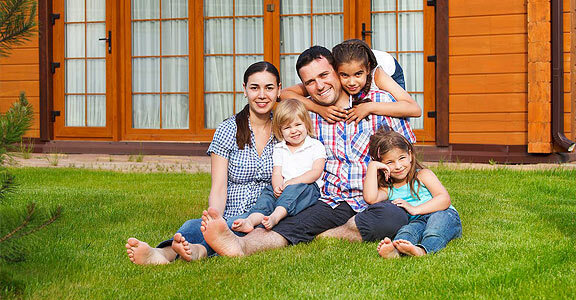 Jumbo loans can be used to finance a primary residence, second home or rental property. Interest rates for jumbo loans are typically higher than those for conforming loans. Overall, qualifying for a jumbo loan is a bit more difficult compared to a low down payment conforming or government-backed loan program. Debt ratios for jumbo loans can vary depending upon the lender but qualifying debt ratios are 33 and 41. The suggested housing payment should be approximately 33% of gross monthly income and 41% allotted toward total monthly credit obligations. 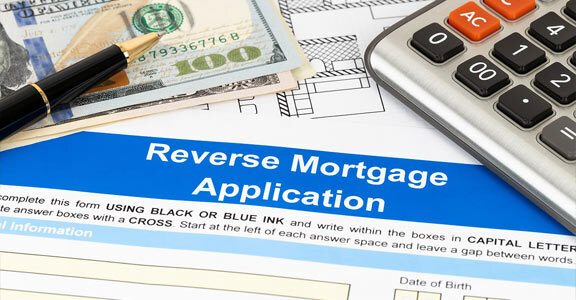 A reverse mortgage is a loan reserved for borrowers 62 years of age and older. The most common reverse mortgage issued today is FHA’s Home Equity Conversion Mortgage, or HECM. A reverse mortgage can be issued in one lump sum, monthly installments, a line of credit or any combination thereof. The amount of a reverse mortgage is based upon several factors, primarily the amount of equity in the property and the age of the borrower. There are no minimum credit scores required but lenders will review a credit report to determine the borrowers have shown a responsible credit history. Lenders will also determine the borrowers have sufficient funds to pay for property taxes, insurance and maintenance of the property. When payments are disbursed to the borrowers there are no payments due. Interest accrues on the disbursed amount and due and payable when the last borrower leaves the house. This amount is typically paid for by selling the property. A reverse mortgage can only be used with an owner-occupied property. If there are any existing mortgages on the home, the proceeds from the reverse mortgage must first go to retire previous home loans. 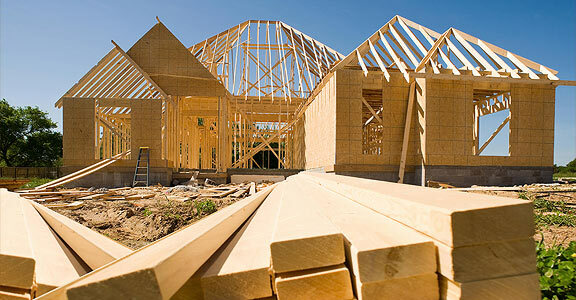 A construction loan is a short term loan used to build a new home on the owner’s lot. Other types of construction loans include both the costs of construction as well as acquiring the vacant lot where the property will be located. The term of the loan is dictated by how long it will take to build the new home and certify it for occupancy. Common terms for a construction loan range from six to twelve months or longer as needed. Interest rates are variable and based upon a selected index and a margin. Interest accrues during the course of construction and is due in full upon completion of the property. Some construction loans require minimum monthly payments during construction based upon the amount of disbursement and rate. Disbursements are delivered in phases as the home is being built. Upon each completed stage, additional funds are forwarded to the contractor. Traditional construction loans require a down payment of at least 20% with slightly favorable terms with a 25% down payment. If the borrower already owns the lot, the equity in the lot is typically enough to cover the down payment. Credit requirements are more stringent for a construction loan as the property has yet to be built. A common credit score minimum is 740 but this number can vary based upon other, positive compensating factors. There are also construct-to-perm loan programs which bundle both the construction and permanent loan into one note, thus negating the need for two separate loan closings.